Escape to Reality is one year old today! I started blogging on 5 February 2010 for no other reason than I couldn’t help myself. I had words inside me that needed to get out. I didn’t know if anyone would want to read them, but to those of you who have, thanks! And to those of you who’ve taken the time to respond, either with comments or emails, double-thanks! Why do I write? I don’t write to make Jesus look good; I write because Jesus is good! I write because the good news of God’s grace is the goodest news you ever heard. The good news is that God is good and He loves you more than you love yourself. There’s no badness in God and there’s no bad news in the good news. He’s good all the way through and the good news is good all the way through. If you’ve been told there is a catch – that the good news is too good to be true and that you must earn what God freely gives – you’ve been misinformed. Real love has no hook and there is no catch. God is good! On this first anniversary of E2R, I thought it might be fun to highlight the best, the worst, and the most controversial posts of the past year. Thanks for sharing the journey with me. 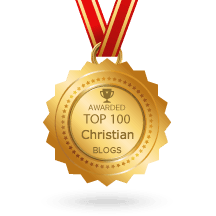 Most popular post: With a couple of thousand page views, Does God Give and Take Away? (a.k.a. the Job post) is the most-read post. It is also one of the most controversial posts I’ve written. Who would’ve thought that I could upset so many brothers and sisters by saying that our heavenly Father is neither a killer nor a thief? Most important post: Son, Servant or Friend of God? Are you a victim of identity theft? Least important post: What Would Jesus Drive? I thought this post would stimulate some fun dialogue but I was wrong. Evidently I’m the only one who ponders these sorts of questions. But think about it; if Christian’s aren’t allowed to drive BMWs, as I heard a famous preacher once say, what would Jesus drive? I offer a number of viable suggestions. Most unexpected post: Laodicea Part 1 – Are You Hot Enough for God? This post led to an entire series on the Laodicean church. I never planned to write anything on Laodicea – it just sort of happened. Earlier in the year I had circulated an email to my grace buddies asking if any of them had any insight into the lukewarm issue (Rev 3:16). None of them did or, if they did, they weren’t telling! So I asked the Holy Spirit for some insight and 8 posts later I had to stop because I was in danger of getting carried away. This was fun to write! Fastest-selling post: Seven Signs that You Might Be Living Under Law. The traffic stats on this post went ballistic from the minute it was published. I guess people wanted to check that they weren’t. Most ignored post: Building Ramps for the Mentally Ill was met with a deafening silence. I’ve lived in Hong Kong and New Zealand, two societies that are plagued with mental illness. Mental illness is the leprosy of our generation yet few in the church want to talk about it. It seems we are still the tail and not the head in tackling this scourge. Or maybe I just haven’t found the right words yet. My favorite post: How to Read Your Bible Without Getting Confused. Short version: read everything through the lens of the cross. If you don’t get the cross, you won’t get grace. If you don’t get the cross, your Bible won’t make sense. Jesus’ finished work on the cross is the single most significant event in human history and your history. Truth be told, my favorite post is always the one I’m currently working on. Honestly, I’m really excited about what God has been showing me lately about Himself and His purposes. It seems the more I know Him, the bigger and better He gets. Stick around, this is just going to get better. Thanks for all you do. Thanks for the encouragement. I went out and purchased Malcolm Smith’s book because of your recommendation. Blessings to you brother. Happy Birthday!! I may not respond (*blush*) but I do read. I have been for the past three or so months and I wanted to say thank you! I came here via the post about Job. I was just (and still am) being introduced to the Grace msg and had just started watching Joseph Prince and was struggling with that topic. Keep telling the good news! We Christians need to hear about it! I did similar to what Larkin did – ordered in Malcolm Smith’s book. Thank you. “And if I say, I will not make mention of him, nor speak any more in his name, then there is in my heart as it were a burning fire shut up in my bones, and I am weary with forbearing, and I cannot contain” (Jer. 20:9). I am blessed and edified by your blog. Happy blogging. That’s a cool summary. Perhaps when i’ve been on wp for a year I should do this sort of self-examination. Too early to tell now tho. LOL. I would agree though that my favorite post is always the one I’m working on at the time. Hey Paul, The fact you get so much response to your blogs tells me you’re hitting the bulls eye of grace. Thanks for being courageous enough to stand for your convictions, even if I don’t agree with them. We all start out thinking, have I done the right thing, will anyone want to listen or respond to what I have to say. Well, let me be one to affirm you and say, keep on keeping on. Thanks – Peter. Thanks Michael. I made a change. Good on you Paul…keep up the great work! I heard someone say recently that it takes 12 year to change the culture of a Church(Im not sure where he got that from, or whether it was his own personal experience), but I would have to say he would be on the money. Unbeknown, so many of us have been programmed with Law based lenses, so its no wonder that when we read the word of God we cant help but see anything else. This is made more confusing by the fact that we talk and preach Grace, but in most ways we live law. Hmm! I thank God that over the past year after having read Joseph Princes book, (along with your excellent teachings) I have moved a couple of notches along the continuum towards the grace end, but still a long way from where I need to be. Hopefully it wont take me another 11 years. Bless you! J.G. 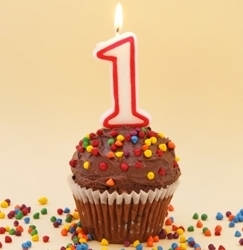 I have been following your blog for a short while and congratulations on your first year. I also agree with your acknowledgment of the sovereignty of God and how it is his will that we become true sons of God, able to destroy the works of the devil as our elder brother and Savior did! I feel humbled by the comments and responses that you gave with love. We know that we have passed from death into life because we love the brethren! I’ve often said we can be right in our hearts and wrong in our heads. Been there and done that! I would just like to say with all love and respect to each one that has made comments and readed this blog,without having a true understanding of the sovereignty of God it is hard to receive the things that had been appropriated for us. If our understanding is to believe that it is God will for us to be sick or incapacitated by some devastating devil then we will stay that way. If we keep looking at things through doctrinal glasses then the truth will become of not affect. We do have to agree with the word and KNOW his promises are yes and amen. We are too fight the good fight of faith and bring down the strongholds of the devil that is in our mental thinking by not having our minds renewed by the word of God. Here’s a bit of trivial, about 40 years plus ago our brother Oral Roberts started saying and proclaiming (GOD IS A GOOD GOD) there was much controversy at that time because of the healing ministry he had. People would say God is not always good and that he brings sickness to people! Well that doctrine is still in the church because that doctrine is the (doctrine of devils)! I believe things are changing, because of the revelation that God is a good God, and in agreement with the word mixed with faith we can shed forth his goodness and mercy to a sick and despondent world! The Earth is in birth pains waiting for the sons of God to be revealed in this last day! Just to also confirm and admit – I also read your posts regularly and although I don’t post replies that often, I greatly enjoy them and find it very ‘renewing’. I am in agreement with most of the writers above that we are living in a society formed and brainwashed to such an extent that even the most ‘enlightened’ christians – under which I like to count myself – find ourselves repeatedly ‘caught’ by self-righteous thoughts / ideas / actions. For some reason the human nature tends to earnestly seek for ways to confirm itself / approve of itself?? The message of Grace is so simple yet so profound and difficult to grasp due to our programmed human nature. Keep it up. We need to support each other in this fight against our fleshly nature and societies’ imprinted ideas – we need to support each other in our ‘effort’ to renew our minds – and then hopefully it won’t be an effort any longer, just a process of Grace! Jesus paid the full price and that is the end of it – IT IS FINISHED!!! AWESOME NEWS!!! May you continue to be blessed with an unlimitted revelation of GRACE! Awesome articles Paul, thank you, Gareth. Happy Birthday!!!! You don’t know how much this site helped me and still blessing me! Keep them coming 🙂 You are truly a blessing!!! Blessings to you always!!! !